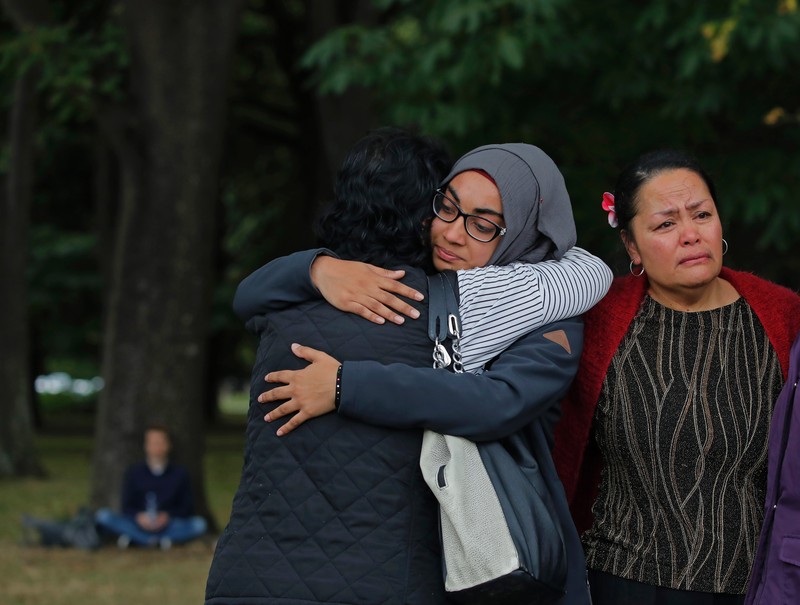 CHRISTCHURCH, New Zealand – Families of the 50 people killed in the Christchurch mosque shootings are enduring an increasingly agonizing wait for the bodies of victims to be released as New Zealand reels from the unprecedented tragedy. 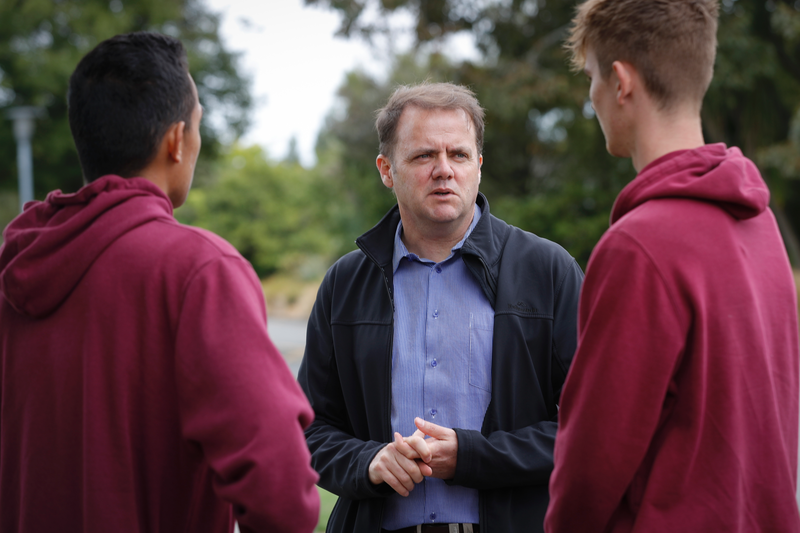 CHRISTCHURCH, New Zealand – Three students from Cashmere High School were at the Al Noor Mosque for Friday prayers when an attacker burst in as part of a rampage that left 50 dead across the New Zealand city of Christchurch. When classes resume Monday, none will be there. Two of the students are presumed dead and the third is in the hospital with gunshot wounds. The father of Sayyad Milne, 14, told the New Zealand Herald that his son was last seen lying on the bloody floor of the mosque bleeding from his lower body. "I’ve lost my little boy. He’s just turned 14. I’ll get it together again," he told the newspaper. "I remember him as my baby who I nearly lost when he was born. Such a struggle he’s had throughout all his life. He’s been unfairly treated but he’s risen above that and he’s very brave. A brave little soldier. It’s so hard … to see him just gunned down by someone who didn’t care about anyone or anything," Milne said. "I know where he is. I know he’s at peace." Current students weren’t the only ones caught in Friday’s mass shootings, the deadliest terrorist attacks in the country’s modern history. A former Cashmere High School student is also believed to have been killed, as was the father of another student. Outside the school on Sunday, students came in a trickle to lean bouquets of flowers up against a construction barricade, evidence of the ongoing rebuilding from Christchurch’s 2011 earthquake. Principal Mark Wilson said counselors and trauma specialists will be on hand when classes resume at the diverse school of more than 2,000. "I’m very confident in our staff; I’m very confident in our school community. It’s made up of awesome people," Wilson said. "It’s still going to be hard. There’s going to be a lot of grief. There’s going to be a lot of sadness. I think we’ve also got to be very patient with each other." Wilson declined to talk about the boys believed to have been killed, but confirmed three students were at the mosque on Friday and said one remained hospitalized with gunshot wounds to the leg. The principal noted that schools can often be a safe place for children coping with trauma. He is also encouraging students to take up their own acts of love to counteract the tragedy. "It can be quite easy to get overwhelmed with all of the hate and the trauma of this situation and what’s really important is that love will triumph in this situation," Wilson said. "It’s often in the small things that you can do in terms of visiting people, making a cup of tea for somebody, having a smile, giving some support and some love." Students Finn Barclay and Oki Tillia, both 17, spent the weekend doing baking and collecting toys to take to workers and victims of the attacks. They are also organizing a student vigil Monday afternoon outside one of the mosques that was attacked. "We’re all going to have candles and we’re just going to light one up and we’re just going to pass it on, just pass on the love, the light that all these Cantabrians carry," Tillia said, using the name for people from Canterbury province, where Christchurch is located. Sayyad’s half-sister, Brydie Henry, remembered him as a good-natured, kind teenager who adored football. His mother, Noraini, was also in the mosque and managed to escape, Henry told the Stuff news website. His parents and two siblings, 15-year-old twins Shuayb and Cahaya, are all "at home just waiting," she said. "They’re just waiting and they don’t know what to do," Henry told the news site.